For years, Mazda has been many experts’ top pick when it comes to affordable automakers. While their sales don’t compete with other Japanese and domestic heavyweights, largely due to a smaller advertising budget, they’re consistently picked as well-engineered, affordable cars that are reliable, safe, and fun to drive. AutoTrader summed up Mazda as an independent car-maker that consistently beats bigger manufacturers to make better engineered cars at an affordable price. In order to compete with the giants in automotive, they need to be doing something right. With a strong lineup of sedans, crossovers, and SUVs, there are plenty of Mazda cars Toronto drivers can choose from. 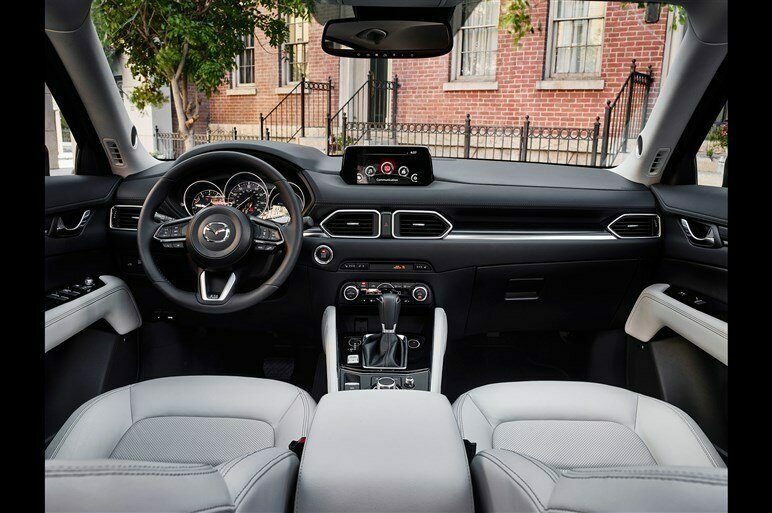 Choosing the one that’s going to be right for you and your family can seem like a daunting task, but if you come into Yorkdale Dufferin Mazda, we can help you decide. Why should you make us your Mazda dealership in Toronto and not one of our competitors? We have a knowledgeable, informative staff that loves Mazda and our customers, who want to see you drive away in the right vehicle. We always offer our customers the best deal, our prices are always 100 percent transparent, and you get to look around in our no-pressure sales environment. We’ve got a 4.6 star rating on Google – just see what our customers say about us. Depending on our budget, you may be looking for a used Mazda. It’s a smart way to spend your budget, as you can save considerably by buying used. If you’re operating on a tight budget, the first piece of advice we have to give is know your number and don’t go above it. You know your budget better than we do, when you tell us what you can work with, we can put you in the right vehicle. If you’re not sure how much you can afford, here’s a handy rule of thumb: financial advisors recommend that your debt payments go no higher than 36 percent of your gross income. If that sounds small, buying a used Mazda car can help you achieve a healthy financial balance. Our monthly specials on Mazdas are a great place to start your research into your options. There’s still time to take advantage of the Yorkdale Dufferin Mazda Summer Drive Event, with great deals on a variety of leasing options, including the Mazda 3, the CX-3, CX-5, and CX-9. You can get 0% purchase financing and a $500 signing bonus on the latest and most popular Mazda vehicles of the year, with low payments and APR. If you always want to be behind the latest model without worrying about trade-ins, leasing might be the right option for you. Stop by Yorkdale Dufferin Mazda and explore your options with our knowledgeable sales staff. We’ll help you find the car that’s right for you, at a price that fits your budget.